Jan has combined her teddy applique technique with her love of raised embroidery to create her latest blanket. 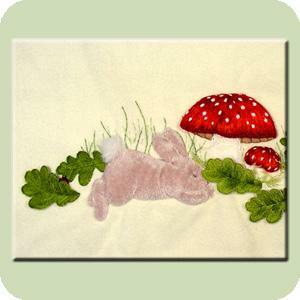 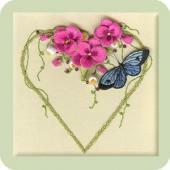 The project can be worked on blanketing or as a nursery picture or birth sampler for framing. 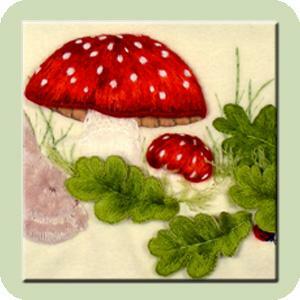 The mushrooms are worked in beautiful Cascade wools with a felt padded stalk, needle lace collar and detached embroidered cap. 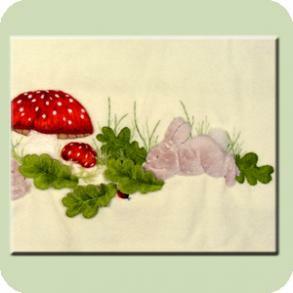 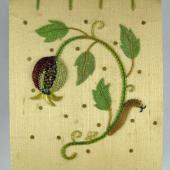 Add surface embroided and wireless detached oak leaves and little padded ladybugs to complete the picture. 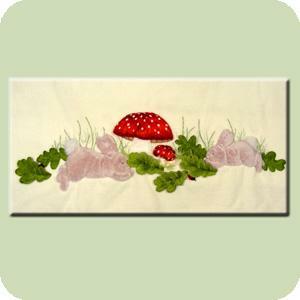 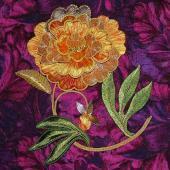 Learn stumpwork techniques in wool, including turkey knots, buttonhole stitch, felt padding and raised elements.